“Which IRA is best for me?” is a common question taxpayers ask when determining which IRA to set up. Most people have two choices: Traditional IRAs and Roth IRAs. (Small business owners and people who are self-employed can open SIMPLE or SEP IRAs as well.) The best IRA to pay into will be determined by your tax situation, your goals, and your objectives for retirement. This is the original IRA, first created by Congress in the early 1970s, and the one used by most people. In a Traditional IRA, earnings on investments grow tax–deferred. As long as the assets are under the umbrella of the IRA—and are held by a third-party administrator—they are not taxed. Eligible taxpayers may also take their contribution as a tax deduction from their taxable income in the year they make the contribution. The combination of tax-deductible contributions and tax-deferred earnings essentially postpones tax on these assets until you decide to distribute the assets out of the IRA. If you’re wondering how much tax you will owe on the amount distributed, that will depend on the amount of the distribution and your tax rate in the year you take the distribution. In contrast, contributions to a Roth IRA may not be used as a tax deduction. These contributions are considered after-tax dollars. Again, your account balance grows tax-deferred. 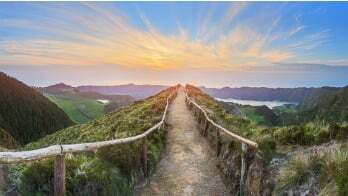 If you have contributed to a Traditional IRA in the past, but like the benefits of a Roth, you may move your Traditional IRA assets to a Roth IRA in a conversion transaction. In a conversion, the Traditional IRA assets are distributed and taxed in the tax year of when the distribution happens. Unlike regular distributions, distributions for the purpose of conversions are not subject to the 10% early distribution penalty. The distributed assets are made as a contribution to the new Roth IRA, where they grow tax-deferred, and eventually are distributed tax-free. In a nutshell, it comes down to whether you want to postpone taxation or eliminate taxation. If you are concerned about being in a high tax bracket during retirement, a Roth IRA may be your answer. If you’re not worried about taxation during retirement, a Traditional IRA may be the way to go. It is always best to seek the guidance of a qualified advisor when making your decision. Whichever IRA you choose, you’ll also want to think about how to invest your retirement savings. Many people today are exploring investments beyond stocks, bonds, and mutual funds. Many are wary of taking another market hit in their investment portfolio. 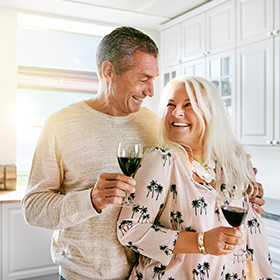 With a self-directed IRA from The Entrust Group you are free to invest your retirement plan assets in other investments such as real estate, precious metals, and notes— investments typically not offered by other firms. Please contact us if you want to learn more about how to take advantage of these investments. Previous Which International Central Banks Own the Most Gold and Why?